This article was last updated Aug 16, 2018, but some terms and conditions may have changed or are no longer available. For the most accurate and up to date information please consult the terms and conditions found on the issuer website. 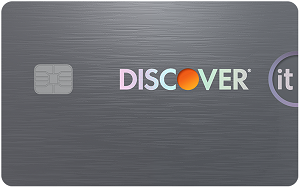 The Discover it® Secured is a standout card for anyone looking to build credit while also taking advantage of exceptional cardholder benefits like a cashback program and no foreign transaction fees. Those who are classified as poor/new can work on establishing a good credit score with the tools Discover provides — free FICO® Credit Score and a Credit Resource Center. You may not want to have a secured card that earns rewards if you have trouble managing credit or don’t want to be tempted to overspend, so check out other secured cards — many without rewards. On the other hand, if you have good or excellent credit, you’ll want to check out unsecured cards (which are just regular credit cards) because they provide more benefits and rewards and don’t require deposits (though some may require annual fees). It’s uncommon to find a secured card with a cashback program, and that’s what makes the Discover it® Secured a front-runner in its category. Cardholders earn 2% cash back at gas stations and restaurants on up to $1,000 in combined purchases every quarter, automatically. 1% unlimited cash back on all other purchases. This rate is an added benefit that allows you to earn cash back while you work toward building good credit. Discover also waives the late fee on your first missed payment, a great feature for those who may be new to credit. However, you’ll want to avoid taking advantage of this perk if at all possible, because missing payments can hurt your credit score. Take this as a reminder to pay your bill on time and possibly set up autopay. Overall, this card is pretty solid and we don’t see any major cons with this card except the 25.24% Variable APR. This is a high APR and although it’s typical of other major issuers, you can find secured cards with lower APRs — just know that they most often have annual fees. Account reviews starting at month eight: Discover will automatically review your account starting at the eighth month your account is open to see if you qualify for an unsecured card and can receive your security deposit back. This takes the guesswork out of wondering when you’re ready for an unsecured card. No foreign transaction fee: Purchases you make overseas won’t incur a fee, which many other cards charge. No late fee on your first late payment: Discover gives you a free pass on your first late payment. While that’s a nice break from a negative consequence, avoid taking advantage of it by setting up autopay or bill pay reminders. Paying late won’t raise your APR: This means that your interest rate won’t increase when you pay late. Although this is a good feature for forgetful cardholders, try to make it a point to pay on time. 100% U.S.-based customer service and live chat feature available 24/7: You can contact customer service representatives anytime and receive help with any account questions that may arise. Freeze it®: If you misplace your card, simply freeze it with the click of a button on Discover’s mobile app or website, then unfreeze it if you find it. Freezing your card prevents new purchases, cash advances or balance transfers from occuring. Free FICO® Credit Score: With Discover Credit Scorecard, you can receive your free FICO® Score 8, as well as an explanation of what’s affecting your score. Discover® Identity Alerts: Each day, Discover will monitor your Experian® credit report for new accounts and risky websites for your Social Security number. Discover will send you alerts as needed. You’ll benefit the most by using the Discover it® Secured for everyday purchases, because you earn cash back and can build credit when you practice responsible credit behavior. The latter — building credit — is your main goal with this card, and you can establish a good score by following some key credit rules. A major rule is to make sure you pay all your bills on time and in full so you avoid late fees and have good payment history reported to the credit bureaus. Also, an important factor of your credit score is utilization. This is the amount of your credit you use compared to your total available credit. You should use as little of your available credit as possible, so keep that in mind if you’re making a lot of purchases as a way to earn cash back — when you have a secured card, it’s more important to improve your credit by keeping your balance low, rather than earn a lot of cash back. A good goal is to keep your utilization around 20%, therefore if you have a $500 credit limit, spend around $100. By following these rules, you may see your credit rise over several months. Check out Discover’s Credit Resource Center for helpful articles and tips on building good credit. You earn 2% cash back at gas stations and restaurants on up to $1,000 in combined purchases every quarter, automatically. 1% unlimited cash back on all other purchases. This rate benefits all cardholders because it’s hard to find a secured card with rewards, but it especially benefits people who spend at restaurants and gas stations. In addition, there is a great new cardmember offer with Cashback Match™ where Discover will automatically match all the cash back you earn at the end of your first year. There are no requirements to earn the Cashback Match™ and there is no cap to the amount of cash back matched. Comparing secured cards from major issuers, two lead the pack: Discover it® Secured and Capital One® Secured Mastercard®. While they both offer cardholders the opportunity to build credit, they differ in two key ways — security deposit and rewards. While the Discover it® Secured has a $200 minimum security deposit (typical of secured cards), the Capital One® Secured Mastercard® offers the chance of a $49, $99 or $200 deposit, based on your creditworthiness. 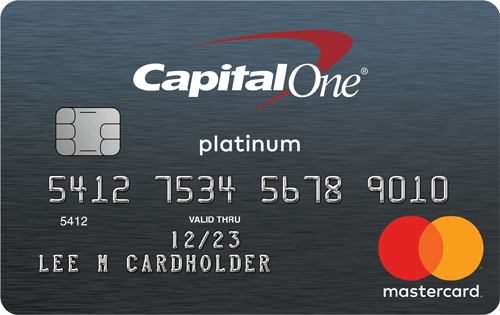 Although the $49 and $99 deposits aren’t guaranteed, you may qualify for them, and that can be enough of a reason for someone to apply for the Capital One® Secured Mastercard®, especially if they don’t have the money for a $200 deposit. Regarding rewards, the Capital One® Secured Mastercard® doesn’t provide any, making the Discover it® Secured the best choice for those looking to earn cash back. This is a standout feature provided by the Discover it® Secured and adds significant value to the credit card. The Discover it® Secured is our top pick for secured cards. It provides cardholders with a robust array of benefits, from the ability to build credit and a cashback program to an easy transition to an unsecured card and more. Capital One Venture vs Barclaycard Arrival Plus World Elite Mastercard – which is the better 2x miles card?